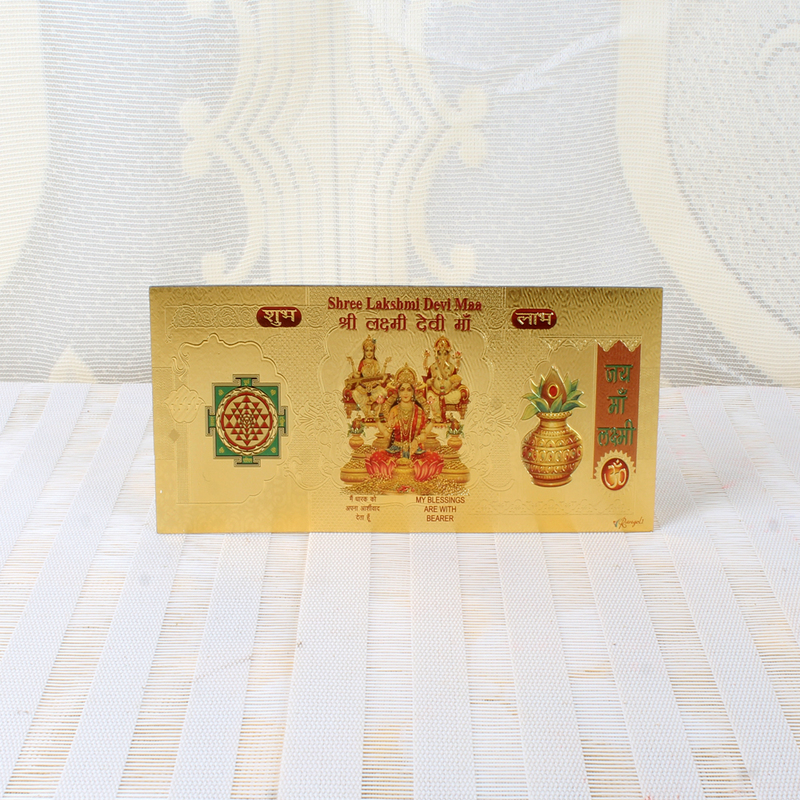 Product Consists : Gold Plated Lakshmi Note, Pair of Earthen Diya and Lord Ganesha Face Diwali Pooja Thali Included Pack of Incense sticks, Diya along with Traditional Kumkum Chawal. 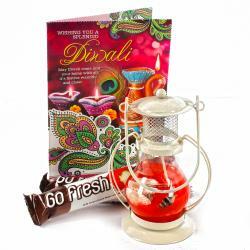 You will fall in love with this amazing Diwali pooja thali combo for your family on the auspicious occasion of Diwali. 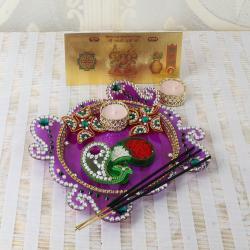 This Exclusive Steel Thali In traditional Color with golden decoratives around the corner also it is beautifully designed with small ganesha face brooch. 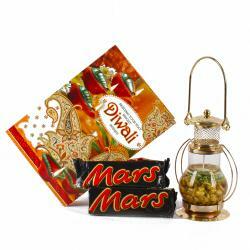 Made Extremely Handy To Use, This Is Designed To Suit Any Occasion Like A Festival In The Family Or It Can Also Be Used To Gift Someone On Any Occasion Like Diwali, Bhaidooj or Lakshmi Pooja. 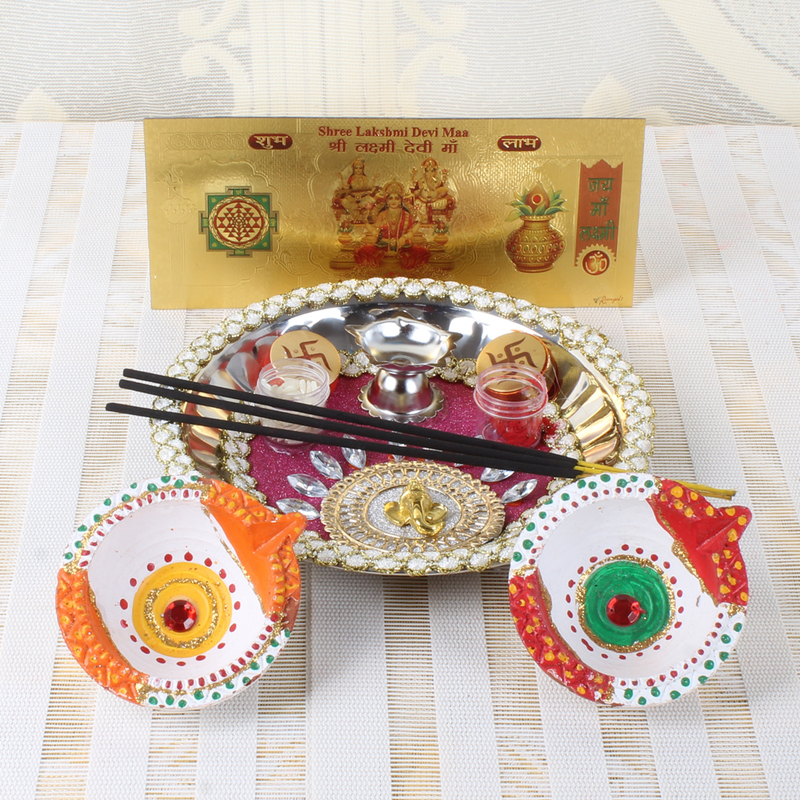 The Beautiful Looking Thali Comes With All The Necessary Items Which Complete It And Make It Not Just Good Looking But Complete The Entire Set With Including Pooja Thali, Diya, Kumkum Chawal, Agarbatti. This combo also contains with Pair of Earthen Diya and Gold Plated Lakshmi Ganesha Saraswati Note which keeps the traditional element alive. 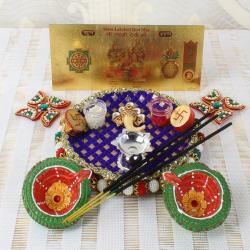 Product Includes: Gold Plated Lakshmi Note, Pair of Earthen Diya and Lord Ganesha Face Diwali Pooja Thali Included Pack of Incense sticks, Diya along with Traditional Kumkum Chawal for Tikka along with its Container.